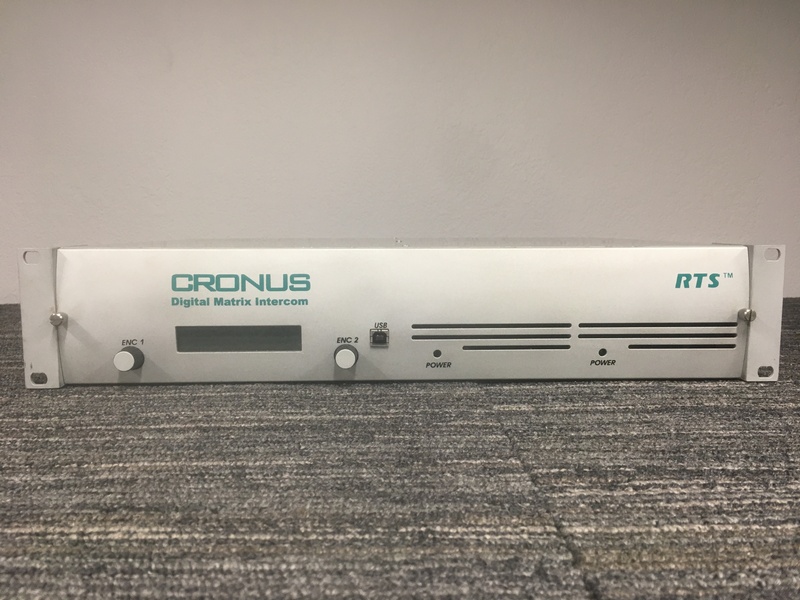 The RTS Cronus Digital Matrix Intercom includes a proprietary active feedback elimination circuit to allow high-volume operation in confined spaces without feedback. 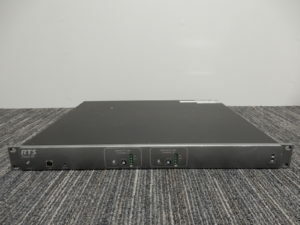 The Cronus features LAN and USB connectivity for programming, the USB ports being available on both front and rear panels, and front-panel shaft encoders and displays permit extensive control without the need for a PC in many applications. 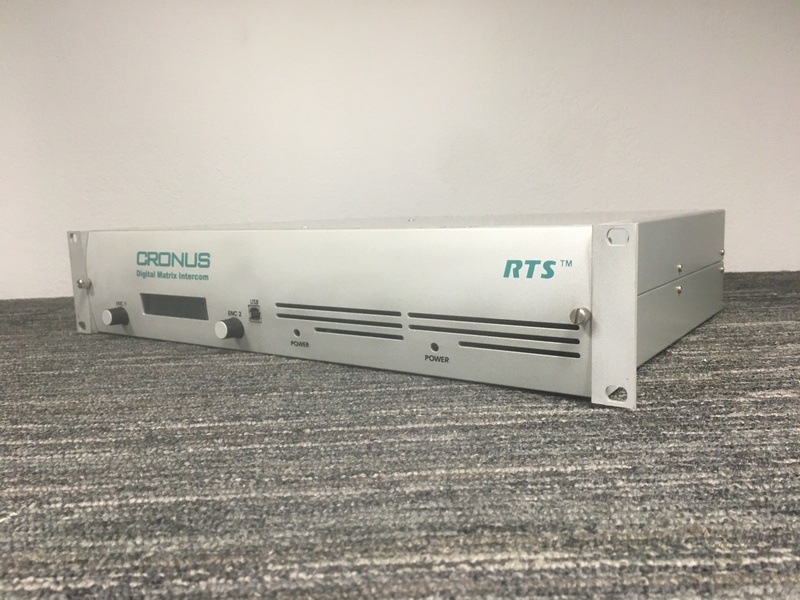 Cronus is compatible with all existing RTS matrix products, including all keypanels, telephone interfaces, level panels, Telex Intelligent Trunking, GPI and system adapters for ADAM, ADAM-CS and Zeus. 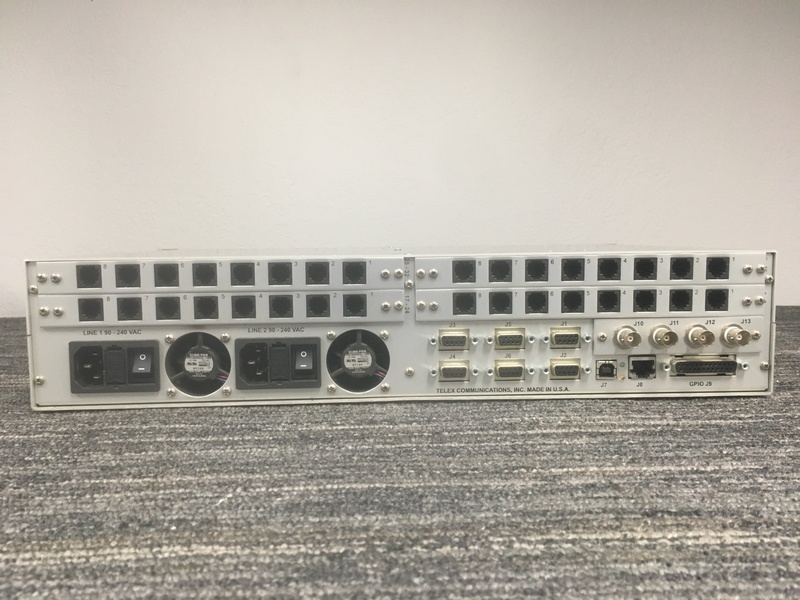 Cronus also has the ability to link, via an interface card, to existing ADAM matrices, allowing Cronus to function as a “satellite” matrix to any existing ADAM from a 128-port single frame to a frame of more than 800 ports. This combined system appears as a single large matrix, without the need for trunking. Cronus will be available initially with high-quality analog inputs and outputs. Cronus features advanced DSP processing with frequency shaping and vox, and also includes a proprietary active feedback elimination circuit to allow high-volume operation in confined spaces without worrisome feedback problems. Convenient front panel access as well as traditional rear access for system programming. Note, you may use either the front panel access or the rear panel access at a time. Digital signal processing designed to support audio signal processing on all 32 ports (inputs). Each chassis is powered by two power supplies, either of which can sufficiently power all the equipment ALONE. 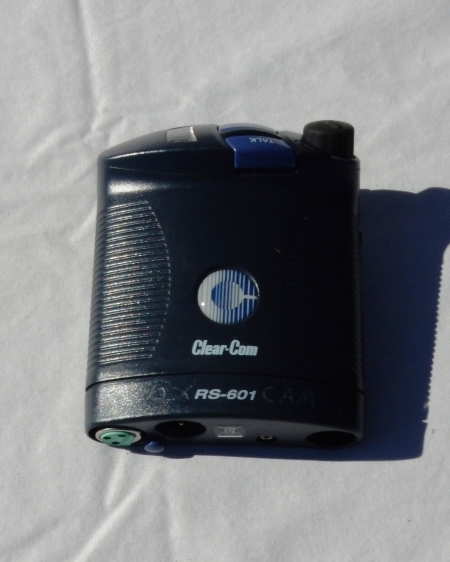 This provides constant power and disaster recovery even with the failure of one power supply. Different backcards with or without transformers available. 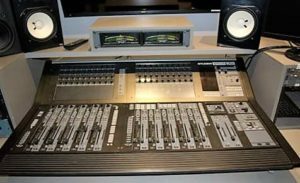 Voice-Over IP option expands the capabilities of the system.